A good place to visit to stay up to date on Oracle News and Events is the Oracle Press Releases page (pity it doesn’t have an RSS feed). Over the last couple of days there’s been lots of Press statements coming out - 11 stories in the last 3 days, more than usual. It’s Oracle’s year end and there’s lots of good news coming out of the Oracle camp. Bottom line: Oracle’s revenues are looking good, they’ve signed a number of new customers within a variety of industries and they say more organisations are migrating from IBM databases to 10g. Being an Oracle Consultant, this news brings a smile to my face, of course, it’s probably best to listen to the other side of the story. I’ve linked up to some of the statements on the link blog. 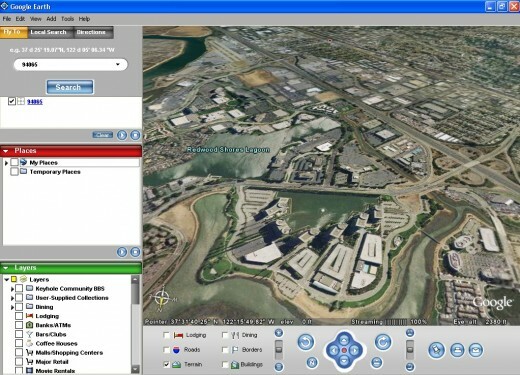 Last week I linked to a Google Satellite Map of Oracle Headquarters in Redwood Shores. 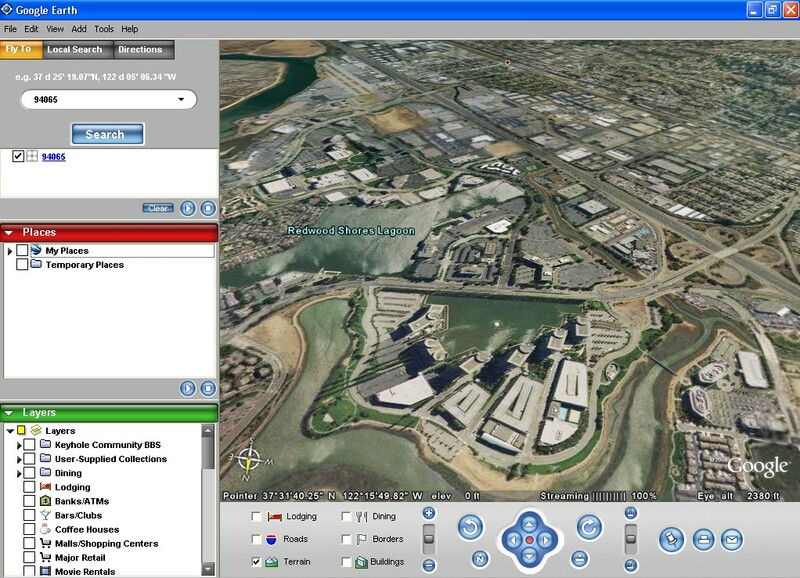 With the release of Google Earth yesterday I’ve been taking a look at Oracle HQ through the eyes of this really cool application. Type in the Postcode 94065 and click search - at this point watching the application zoom from the global view to the location being queried is quite exhilarating. Use the directional buttons to move slightly to the left (or simply drag the map to the left) and you should be able to see the Oracle Buildings. Drill down using the zoom in buttons (to the left of the directional buttons). Use the tilt feature (on the right hand side of the directional buttons) to change perspective so that you can see the surrounding buildings. Rotate your view left or right depending on which direction you want to view the buildings from. At this point in time the majority of the map coverage is in the States although most major cities around the world seem to be mapped. I recently signed a contract with Creative Weblogging to place ads on the blog. To advertise on the blog follow the instructions under the Adsales heading in the left pane of the main site. Until now I’ve been using Google ads which provides me with enough income to easily cover my monthly hosting costs. In order to provide potential advertisers with statistical information on the site I’ve subscribed to a couple of services which provide up to date real time statistical information on my web site traffic. If you go to the very bottom of this site you will notice the logos for all three services. Clicking on a logo will take you to the publicly available stats on my site for that particular service. The service I use the most is MyBlogLog as it provides you with information on what links are being clicked on on the site, something that Sitemeter and Statcounter don’t do. Unfortunately the publicly available stats only give you the top 5 links clicked on but when I’m logged in I get to see all the links clicked on for the site. If you want to take a look at what I get to see through the back end, check out this mybloglog pic I uploaded to my flickr account (to see the picture properly you will have to choose ALL SIZES on the picture menu and then view the Original picture uploaded). Some interesting information provided by Statcounter is the Visitor Paths which shows you who entered your site, where they went and how they exited. On Sitemeter they provide some very interesting demographics relating to which time zone your visitors come from. The diagram for this site, which is shown below, indicates that most of my traffic comes from the States. I just linked up to some cool pics of Oracle Headquarters in Redwood shores on the link blog. Check out the google satellite map and some of the flickr pics I came across. Hopefully I will get to see these impressive buildings with my own eyes some day. Add your comments and links if you know of any other interesting Oracle pictures available online.